The gummy consistency of a cocoaland lot 100 candy is lovely, firmer and less sticky than American gummy bears. The gummy tablet most resembles a sunkist fruit gem without the sugar coating.The mango flavor was disappointing, though, vaguely soapy and far too sweet. 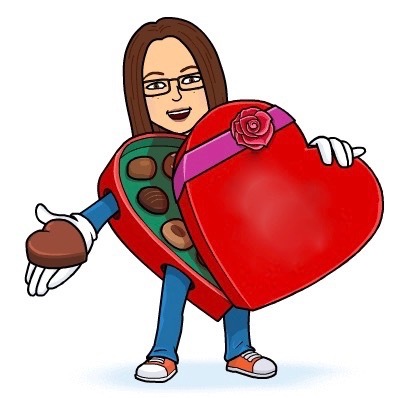 Click here to read my review of Cocoaland Lot 100 Strawberry Gummy. 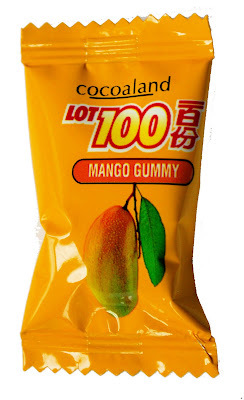 Click here to read my reviews of other Cocoland Lot 100 Gummies. These have been one of my favorite candies for years. It's sad to me that I can't find them in the USA very easily. They're readily available at most Asian markets in Canada from what I've seen. These are SOOOOO delish!! I got them from Chinatown and they have been my nonstop obsession! but they are really hard to find! asian/chinese stores are your best bet! Is there anyone in the NJ/PA area that knows of a store that has them? We only get them when we have business trips to Hong Komg and they are usually eaten up by everyone in the office quickly. They are sooooooooo Delicious we can't get enough of them!!! where in Canada have you found these?? I am in Toronto and desperately want to find them!! I found these when in Bermuda, and I love them, is there anywhere online to buy them? In Toronto, go to the Pacific Mall in Scarborough and you can find them there. Hi I am Astrix Lew work for the company who produce your favorite Mango Gummy. We do have export to the State only not whole US. Come joint our facebook page give at http://www.facebook.com/pages/cocoaland-lot100/89697274665?ref=ts or send me an email lbfood_export1@cocoaland.com when u send pls give me your detail like where is your location and contact. So I can ask our US supplyer to direct u where to buy your favorite gummy. I found this in Philly Asian Supermarket: 1601 Washington Ave, Philadelphia, PA‎. We are going to tarnish your branded Lot100 "Mango Gummy" in INDIAN Market. It Contains "BOVINE SOURCE" which the source from COW/BUFALLO/CATTLE - which CANNOT be consume by INDIAN's (HINDUISM)& BUDDHIES. WHO CARES?! DO whatever you want but stop annoying people that don't share your beliefs! Sheesh! yah, erm, it has gelatine in it, so i think its haram, :S, muslims cant eat it, coz gelatine is the substance they get from the pig. erm, please tell me if m wrong:S.
Totally disagree with this review: the flavor is exactly how a rich, ripe mango should be - at least when turned into a lolly. An amazing chemical feat! Now to find a source in Sydney! Ummm yes I also think that its haram!! :(((( otherwise it looks sososo delicious to me. I wish to know the ingredient!!! Do you know that plant based gelatin is so much cheaper and easier to produce then animal derived gelatin? Do you think that they'll go all the trouble just to put in pig or cow based based gelatin in it?When there are cheaper substitutes. If you want to talk about haram, even a so called halal place is actually haram. For they are a vector for diseases, don't be so closed minded on this minor details, as long it doesn't make you sick or unwell it should be ok. Look at the broader picture and not the minor details. THANK YOU! Finally someone who actually makes sense! Hi there, does anyone knows if this amazing product is available in France? I have found them online at Amazon, redmart, and Asian Grocery Store.